Grenada is a caribbean island nation comprising of six islands known as “Isle of Spice”. The island was originally known as Camerhougue, but Christopher Columbus renamed it “Concepción Island” when he visited it in 1498. Grenada has idyllic white or golden sand, palm trees, idyllic beaches, jagged mountains, spice plantations with authentic caribbean destination. Grenada consists of three key islands: Grenada, Carriacou and Petite Martinique each has rich history, culture and culinary delights. Grenada was a French and British colony, but gained independence from the United Kingdom on February 7, 1974. There are no wealth, inheritance or income taxes in Grenada. Grenada’s economy is constantly expanding in the tourism, agriculture, and manufacturing sectors. The country has launched new citizenship by investment program in 2015 immediately granting citizenship to foreign investors. USD 150,000 contribution to NTF fund. USD 350,000 in real estate investment. In addition to the investment, there are several additional fees such as due diligence fee, Government fee, Passport fee etc. Parents or grandparents over 55 years to be fully supported. Real estate investment reduced to USD 220,000 per share, jointly or co-investing in $440,000 unit. On top the above investment minimum, the following additional fees are payable to the Government. The passport initially issued is valid for 5 years and no requirement to visit Grenada. STEP 1 : The first step in applying for citizenship is to apply through authorized agent, pay an inital 10% deposit retainer fee. STEP 2: The second step in an application for citizenship is contacting an Authorised Local Agent, whose role is to provide the applicant with assistance in preparing documents for submission to the CBIC. The applicant will need to complete official forms, attend a medical examination, and obtain certain supporting documents – all of which must be submitted in English and be appropriately legalised. If the applicant is purchasing real estate, this will need to be reserved through a sale and purchase agreement. The Authorised Local Agent will be able to advise the applicant on the preparation of the documents and on how to have them legalised. STEP 3: When all forms are complete, the Authorised Agent submits the application to the CBIC. The Authorised Local Agent then becomes responsible for liaising with the CBIC in relation to all correspondence, queries, or questions that may arise with respect to the applicant’s file. There is currently no mandatory interview requirement for the Grenada Citizenship by Investment Programme. STEP 4: Each application is vetted by the Government through a thorough due diligence background check, during which time submitted information is examined and verified. The CBIC considers application files in light of this due diligence check, and then issues a recommendation about the application. Final approval is in the hands of the Minister, who generally follows the CBIC’s recommendation. Upon the Minister making a decision, the applicant is issued a letter (through his or her Authorised Local Agent) detailing whether the application was successful, delayed for further processing, or rejected. STEP 5: If the application is successful, the CBIC issues a letter instructing the applicant (through his or her Authorised Local Agent) to either make the contribution (for the NTF option) or complete the purchase of his or her real estate. If real estate is purchases, then the applicant must demonstrate completion, as well as the execution of all necessary documents. Upon receiving proof of payment, the CBIC issues the certificate of registration, establishing that the applicant has received Grenadian citizenship. Authorised Local Agents must use this certificate to apply for a Grenadian passport on behalf of the applicant. Under the real estate investment option, one has to buy a Government approved real estate project developments such as approved project consists of real estate developments luxury hotels, resorts, and villas worth atleast USD 350,000. You must hold the real estate 5 years. Below please find a list of Government-approved projects that have qualified for the Grenada Citizenship by Investment programme. This list is likely to change as more projects are approved and new opportunities become available. Please check back to keep up to date. BACOLET BAY RESORT & SPA Bailles Bacolet, St. David’s, Grenada W.I. HIDEAWAY TRUE BLUE 1 True Blue Avenue, St George’s, Grenada, W.I. HOPE DEVELOPMENT LTD Hope Development Limited – La Pointe Grenada, Hope City, St Andrew’s, Grenada, W.I. KAWANA BAY RESORT Morne Rouge (Grand Anse Beach), St George’s, Grenada, W.I. LEVERA BEACH RESORT Levera Beach Resort, Levera Resort and Spa, St Patrick’s, Grenada, W.I. MARIPOSA P.O. Box 730, Burns Point, St George’s, Grenada, W.I. MOUNT CINNAMON P.O. Box 3858, St George’s, Grenada, W.I. ST DAVID AGRO INC. Westerhall, St David, Grenada, W.I. THE LEGACY PROJECT Morne Rouge, St George’s, Grenada, W.I. THE POINT AT PETITE CALIVIGNY The Point at Petite Calivigny Resort,1 Welcome Road, P.O. Box 3222, St. George’s, Grenada, W.I. THE SANCTUARY AT FIJI BEACH The Sanctuary at Fiji Beach, Residential Resort, L’Esterre, Carriacou, W.I. These are frequently asked questions about grenada citizenship. Can i apply for citizenship with my family? Yes, you may apply for citizenship with your wife or husband, dependent children, and dependent parents. Fees for family members vary according to the number of family members included in a citizenship application. Is the NDF investment refundable if application refused? Fully refundable. Infact, you only pay full amount after receiving approval letter from the Government. Do i have to visit Grenada for the application process? No, you do not need to visit Grenada before, during, or after the application process. Must I renounce my current citizenship and passport to receive Grenadian Citizenship? No, Grenada allows dual citizenship, and you thus do not need to renounce any other citizenship or passport. What is the time frame for the process? Your application for Citizenship by Investment will be approved within 60 business days of submission (subject to a satisfactory due diligence check and the funds being received). You may apply for a passport shortly after. Passports are issued within days of the request. For how many years is a Grenadian passport valid for? All Grenadian passports are valid for five years. Are there any interviews for the CBI? Can i submit applications directly to the citizenship unit? No you can only submit applications to Grenada citizenship unit, through authorized agent. We work with several local and marketing agents in Grenada authorized by the Government. How do I renew my passport after expiry? Under Grenadian law, citizens are entitled to a passport. This means that citizens cannot be denied a passport and thus that your passport will be renewed. Grenadian passports can be renewed in the Grenadian Consulate in London, or directly through the Grenadian Passport and Immigration Office. You dont need to make any investment. How is the education system in Grenada? How does Grenada being a part of the Commonwealth of Nations help me? Being a citizen of a member of the Commonwealth of Nations brings several benefits. For example, you will be able to travel easily across member states, you will be protected by the embassies and commissions of other member states across the globe, and you will be eligible for certain sporting activities (the Commonwealth Games). How is the economy of Grenada? 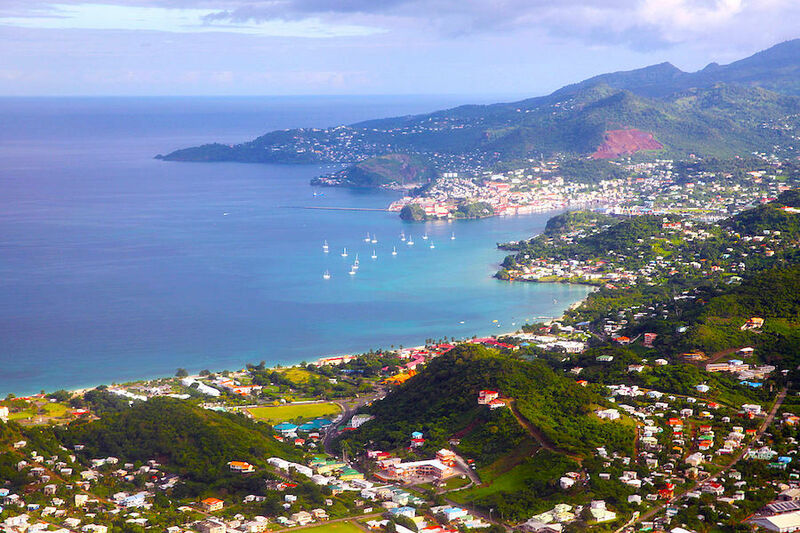 Grenada’s economy is expanding in the tourism, agriculture, and manufacturing sectors. As part of the Easter Caribbean Central Bank and currency system, its currency is stable, secure, and tied to the United States dollar. Business can also be conducted in United States dollars. There are no taxes on the repatriation of profit. Can i visit USA and Canada with Grenada passport? No you will need separate visa for these countries. What is E2 treaty with US? What are the common reasons for citizenship refusal? Reason to believe economic activity arising from OFAC sanction countries.